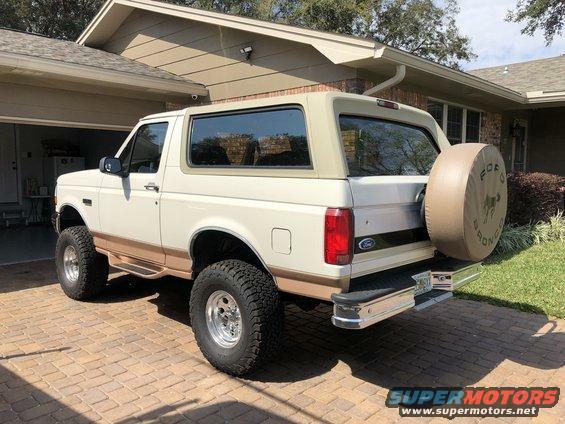 I had the Eddie Bauer paint done on my bronco. The code is from the tag on the truck. Problem is that it didn’t turn out looking tan. It looks more gold. I wanted it to look like it would have from the factory. Not like a 7 year old girl bedazzled it. What paint code should I have used? 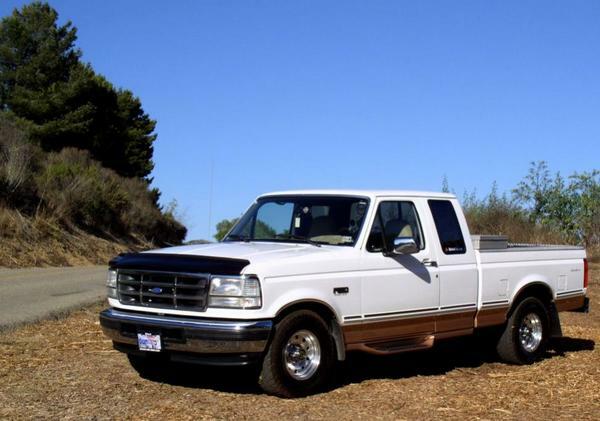 joshbronco and TS 90F150 like this. AbandonedBronco, BigBlue 94 and TS 90F150 like this. That looks copper to me. I'd take it back to the shop and make them redo it. Someone there can't mix paint. 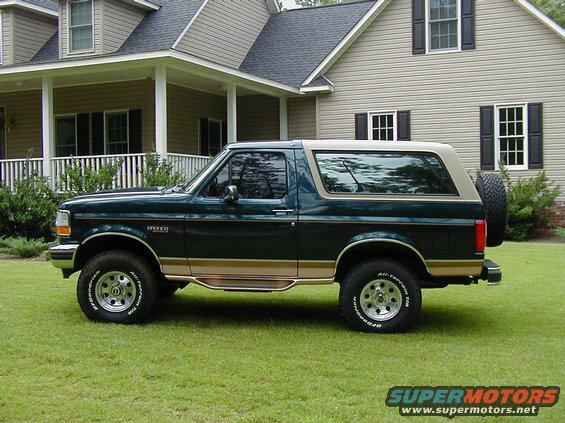 I was perusing my site @ Ford Bronco And F-150 Links - PERSONAL PAGES by our fellow owners ... 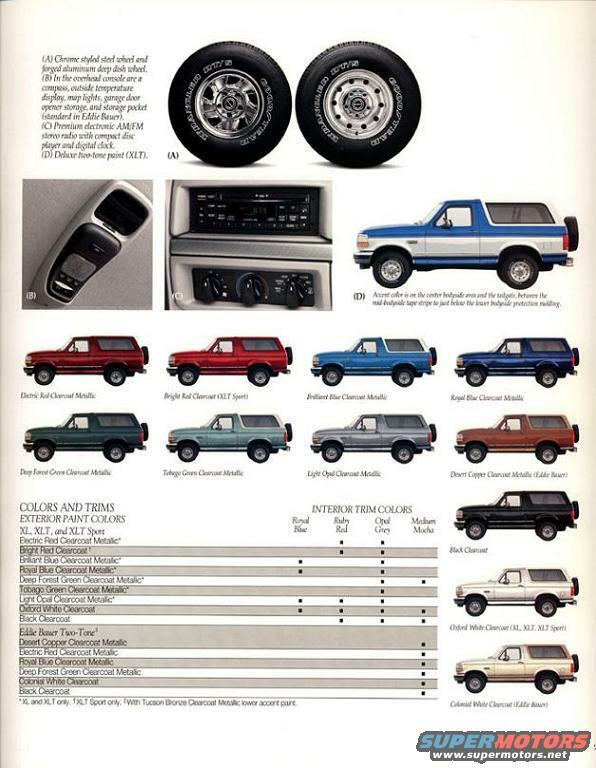 Looking for "as new pics" of 95 OPB ( Other People's Broncos) in your color combo. Will try to finish soon. Thanks for the help everyone. I just don’t know what color to tell them to repaint it. Is the paint on the top suppose to be flat? Hopefully, someone here that bought a 95 new and snapped pics as soon as they brought it or when arriving at home will post up. The first Bauer's were "tan" while the later ones changed the color slightly. I don't know the color names or codes, sorry. But I think yours is freaking gorgeous. You'll note the tan color for 1992 vs 1996 is different. With the newer being slightly darker. This site specifically lists Eddie Bauer color codes but doesn't reference which colors go with what years or models. Mine is Oxford White Clearcoat over Desert Copper Clearcoat Metallic. 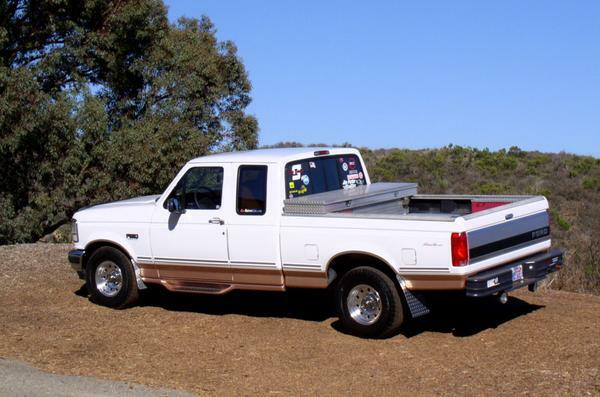 My 95 white and "tan" eddie bauer is definitely a goldish color on the bottom and a flat tan color on the top. It is the original paint. I appreciate all the pictures and info everyone. I think I’ll leave it alone for now. Sorry, came across that yesterday. Seriously, it's hard to tell because screens can display differently. From here it looks more pink than the tan"ish" color that comes to mind for Eddie Bauer colors. Looking thru the pics above, at first glance in combo with the body color they all seem more tan, but some do look more pink after taking a focused look at the lower color alone, while others still seem more tan on this screen. The f150 looks more like a deep copper on this screen. Yours seems brighter than those others. I wonder if the original Eddie Bauer color started closer to your new paint & has dulled after years in the sun. Maybe having the top in the same color helps the mind see the true colors instead of that combo effect you get when it's just the lower stripe. I'd probably talk to another paint guy/store & figure out what's going on. 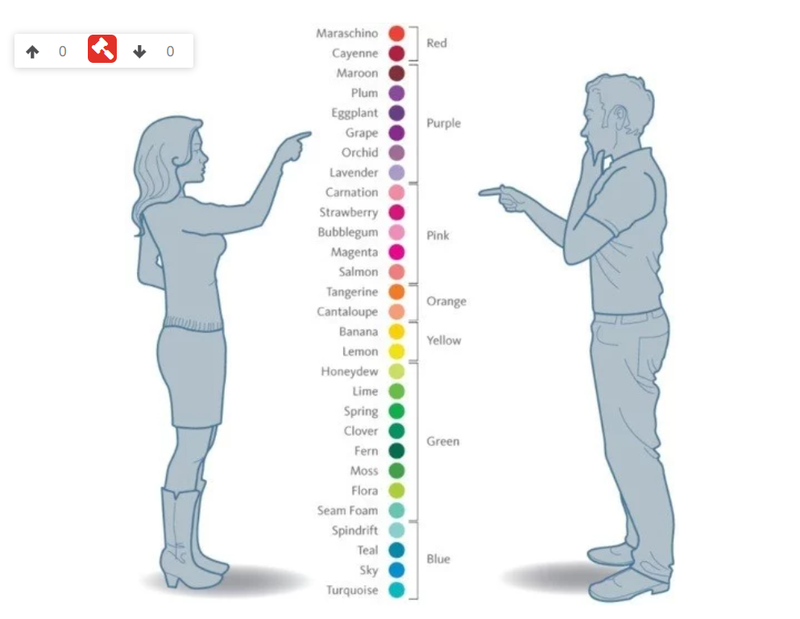 I agree the color looks a little off. However that year specifically to me the bottom color and the top color has never matched from the factory and it drives me nuts. I had mine re painted a few years ago and specifically mentioned this to my guy. He got it dead on. I will say if you dont like it. I will gladly take it off your hands for you. This looks like a faded-out version of the same color? The OP looks a little darker than even a faded out version.